Watch Ray Donovan Season 3 Episode 11 online via TV Fanatic with over 9 options to watch the Ray Donovan S3E11 full episode. Affiliates with free and paid streaming include Amazon, iTunes, Vudu, YouTube Purchase, Google Play, Showtime Anytime, Showtime, Verizon On Demand, and Showtime (via Amazon Prime). 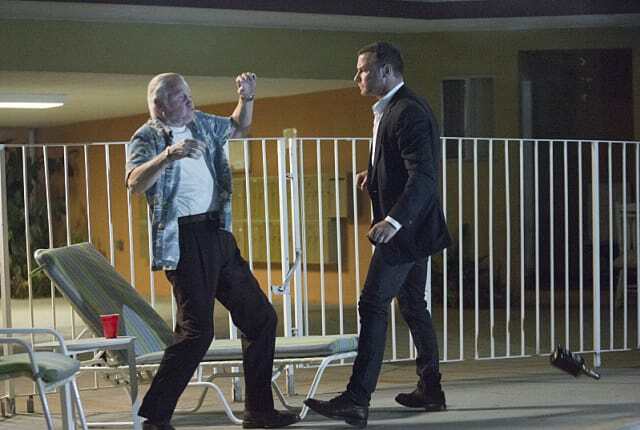 On Ray Donovan Season 3 Episode 11, "Poker," Mickey Donovan is going to throw himself a goodbye party. Whether it's a little dramatic or not, we'll find out! Ray Donovan Episode Promo: Batter Up!